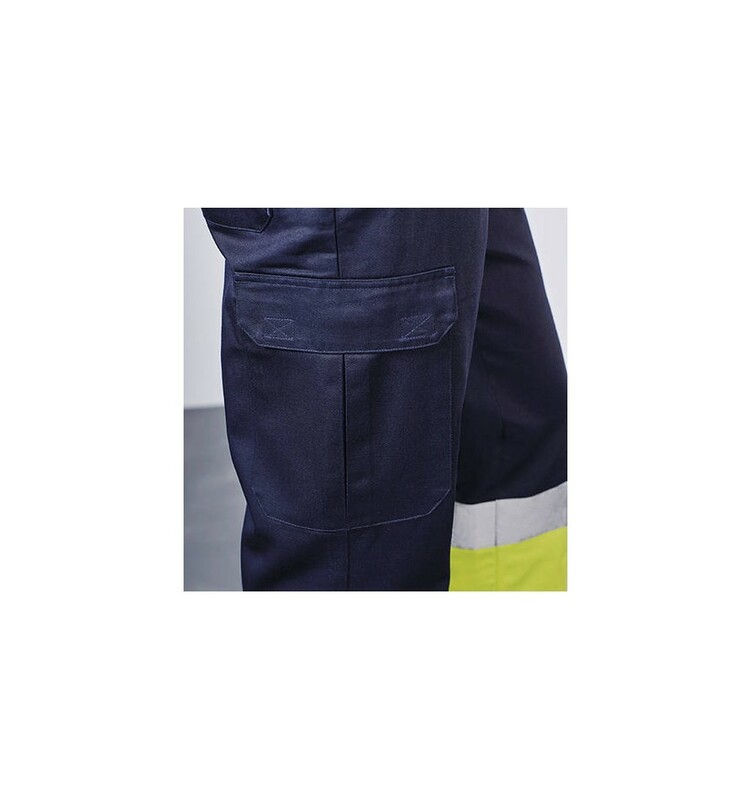 Multi-pocket winter trouser for high visibility. 1. Elastic waistband at the back. 2. Two flap pockets at the back with velcro fastener. 3. Two pockets on front and two side pockets with gusset and flap with velcro fastener. 4. Combined in two colours and with reflective bands. 80% polyester / 20% cotton, twill. 250 gsm.